Pelican BioThermal, the provider of the broadest and most innovative range of temperature-controlled packaging solutions serving the life sciences industry, has introduced its Series 22 Universal for Crēdo™ shippers at Temperature Controlled Logistics in Biopharmaceuticals USA in Princeton, NJ. One of two temperature-controlled options for Pelican BioThermal controlled room temperature (CRT) cold chain packaging, Series 22 Universal is designed to address the challenges of managing CRT thermal requirements in pharmaceutical distribution. Series 22 Universal uses a dual phase change material (PCM) coolant system, which is designed for operational ease of use year round, as well as high performance in any temperature conditions. This system takes advantage of two variants of PCM to maintain a CRT payload space between 15-25 degrees Celsius, offering hot and cold protection throughout the Crēdo shipper’s journey. In addition to Series 22 Universal, Pelican BioThermal also offers Series 22 Controlled as another CRT option with a single phase point for controlled shipping lanes where temperatures are well-known along the journey. 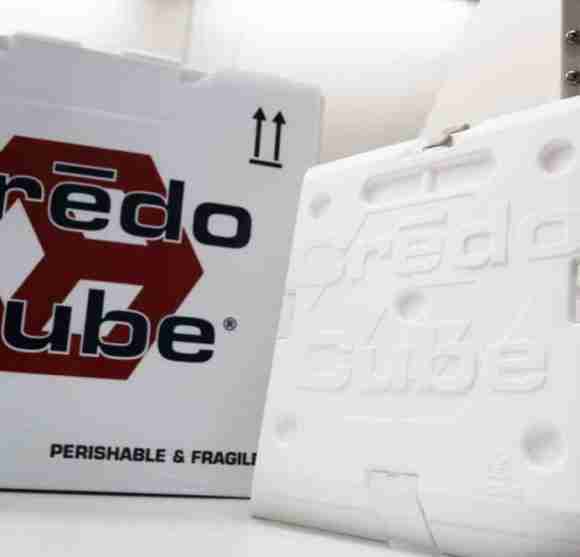 Both can be used with Pelican BioThermal’s full range of sizes and durations for the Crēdo Cube™ line of reusable, thermal shippers and will be on display during Temperature Controlled Logistics in Biopharmaceuticals USA at booth #14. Learn more about the challenges of managing controlled room temperature requirements by downloading Pelican BioThermal’s latest white paper. Pelican BioThermal is a division of Pelican Products, Inc., which is a portfolio company of Behrman Capital, a private equity investment firm based in New York and San Francisco.